The Fluke CNX C3001 Modular Small Case is as versatile as the CNX wireless test tool team. 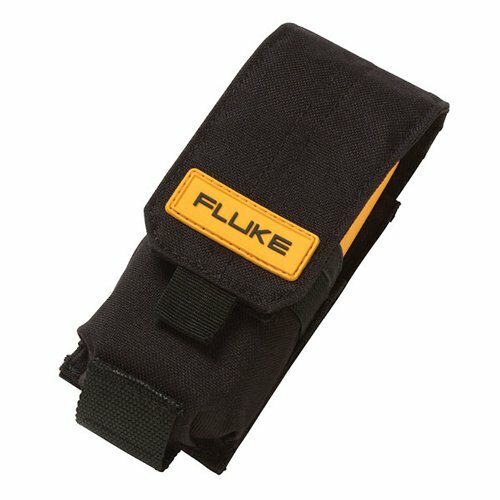 Each Fluke FLK-CNX C3001 Modular Small Case holds a CNX remote module and keeps it ready for testing on the outside of the CNX C3000 Premium Modular Tool Bag. Just detach the soft case from the main bag, attach your probes and you’re ready to test. The Fluke CNX C3001 is compatible with Fluke CNX wireless modules and the Fluke CNX C3000 Premium Modular Tool Bag.